Over the last two decades, sea ice steadily increased in the Southern Ocean, but starting in 2016, researchers were astonished by a rapid decline. This unforeseen diminishing of sea ice highlights the inadequacy of existing models of sea ice extent and thickness. 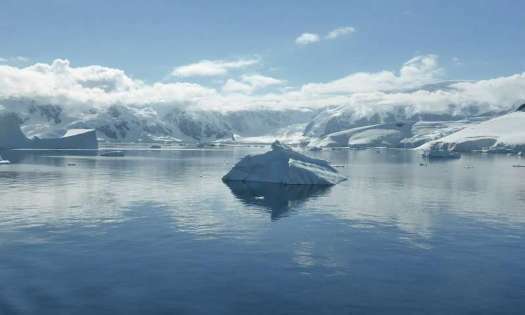 This is significant because the Southern Ocean plays a key role in regulating the global carbon cycle by regulating the uptake of carbon and heat by the ocean. One variable for which current models do not account is the stress of ocean waves on sea ice. A collaborative of European oceanographic researchers has now published a study of the effects of ocean waves on Southern Ocean sea ice using data from the Sentinel 1 constellation. The results are published in the Proceedings of the National Academy of Sciences. To date, Sentinel 1 consists of two satellites, Sentinel 1a and Sentinel 1b, both equipped with C-band synthetic aperture radar, which provides very high resolution imagery from which researchers can derive wave height information. The researchers tested wave height data from thousands of Sentinel images against a model of an ice edge along the y axis with an x axis pointing into the ice and a narrow wave spectrum propagating toward direction Φ relative to the x axis. Wind generates waves over ice-free oceans, which propagate over large distances, eventually reaching ice-covered water. Propagating waves redistribute the momentum from the wind over large regions, and impart that energy to sea ice through collision. Modeling shows that the stress created by these collisions impacts the ice edge. Of particular interest is the rate of wave decay, or attenuation. Dampened waves in sea ice indicate that energy has been imparted to the ice edge, providing a decent metric for estimating the effects of waves on sea ice extent and thickness. However, as is often the case in scientific exploration, the results are complicated. Although the researchers conclude that wave stress is an important factor in sea ice evolution, particularly within a few hundred kilometers of the sea ice, such stresses are highly variable. They report that wave decay can happen much more quickly than previously believed, but attenuation is highly variable. The authors believe the dataset produced by their study could contribute to coupled wave-ice interaction models currently under development. Previous Previous post: Does Some Dark Matter Carry An Electric Charge?